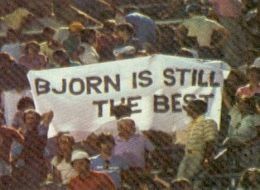 bjorn swedish films 72 to 83!! 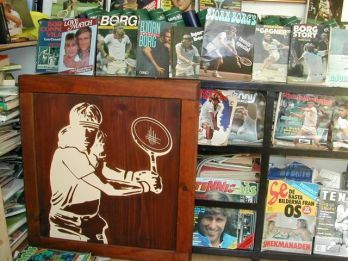 photo 4: borg was a wall("borg"
prizes spread out on it, and right there, in the middle of the table, was this beautiful tennis racquet. When I saw it, I wanted him to win so bad, because if he could win, I would have the racquet." photo 1/2/3/4/5: final, the16 of june 74 (2/66/76/06/16/1)! his vibe, his presence. There definitely was an aura around him." my list, i will be interested for, i can buy yours(or exchange with someones of mines). 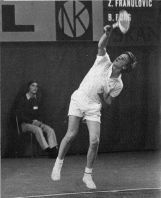 If bjorn borg is for you more than just a tennis player, don't hesitate and contact me : welcome !